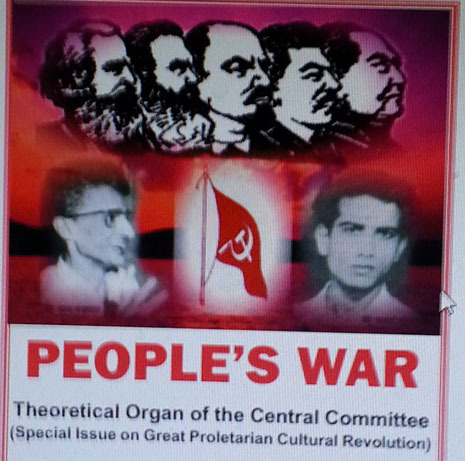 ‘People’s War’ is the theoretical organ of the Communist party of India, Central Committee. Now we have its new issue, March 2017. It is publicly available also in the internet. It is a special issue on the occasion of the 50th anniversary of the initiation of The Great Culture Revolution in China. Every document has its own significance, but the documents ‘ The Importance of GPCR, Successes-Lessons’, by CC, CPI(Maoist), February 2017′ ‘CPC Circular on GPCR, 16 May 19662, ‘The Great Cultural Revolution will Shine Forever’ Editorial Departments of Renmin Ribao, Peking Review, are the articles of great significance. The Great Proletarian Cultural Revolution of socialist China (1966-76) was an earth-shaking event of world-historic importance. It was the result of the summing up of all the positive and negative experiences of the world working class movement for establishing socialism and communism. Under the leadership of Mao, it developed the revolutionary theory and practice of the international proletariat to a new and higher level. It was a unique and unprecedented revolution led by the proletariat against the bourgeoisie under the conditions of socialism and the dictatorship of the proletariat. It was a revolution to bring the superstructure in conformity with the socialist economic base. It was a revolution of the period of transition from capitalism to communism through the intermediate stage of socialism by defeating the attempts of domestic and foreign revisionists and reactionaries to restore capitalism. It was a revolution by millions upon millions of people who rose up like stormy waves to smash the enemy strongholds. In the process, they also transformed their own world outlook, which was essential for carrying forward the socialist revolution. 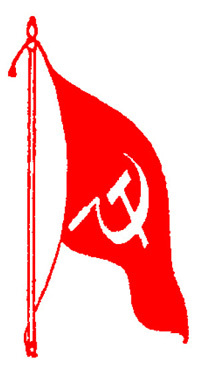 It was a revolution to continue the revolution to till its final victory – the establishment of communism by carrying the socialist revolution through to the end.